Arrived at the lake mid-afternoon anticipating a good afternoon bite with overcast weather and mild winds. Headed to Comal Island area and found sporatic surfacing stripers in 60 ft. of water over the submerged Comal Creek channel behind Comal Island. No takers though, so we moved down toward the dam and worked from the Jacob’s Creek point to North Park point and around the shallow hump in front of the dam. Marked large schools of fish on the graph above the bottom in 90-100 ft. of water. No way to reach them. 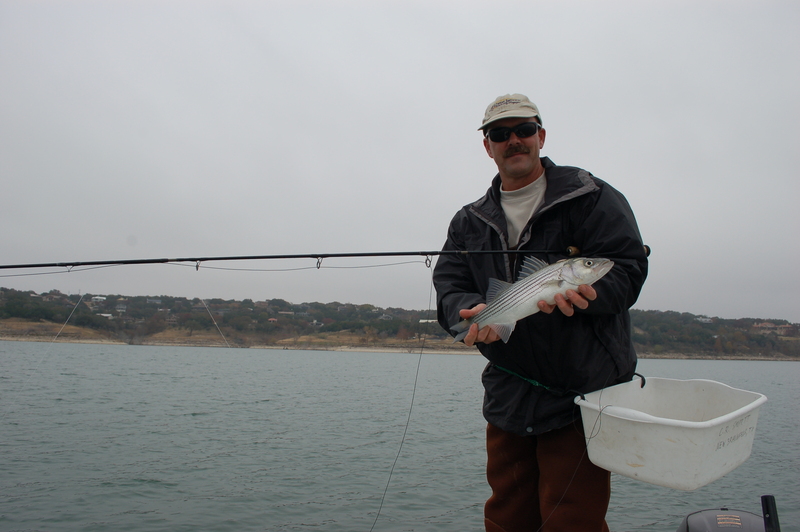 Moved back to Comal Island area and caught one small striper in 32 ft. of water on a Chrome Clouser. 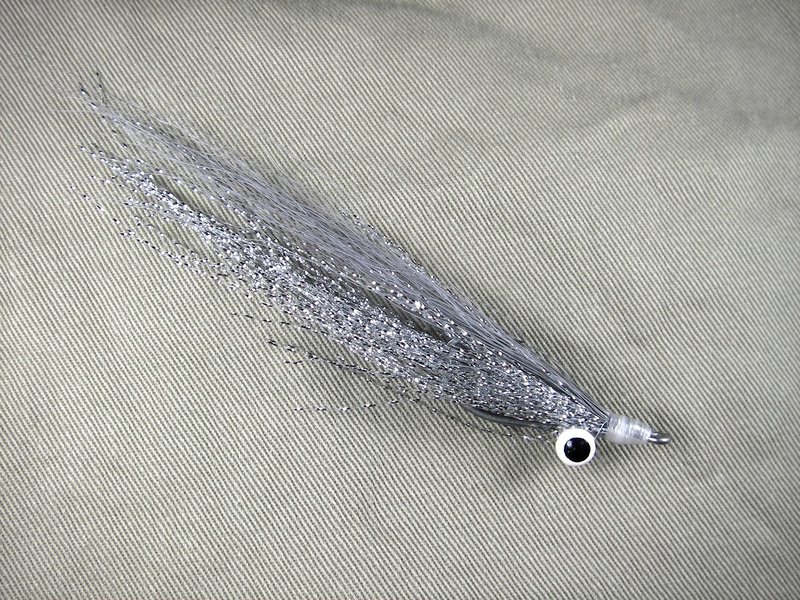 A huge school appeared on the graph just as we released the fish but we were unable to draw any strikes from the school. We worked shallower toward the back of the creek as evening approached and marked many fish on the flat along the Comal Creek shoreline in 8-16 ft. of water but could not get them to bite. Tough afternoon, but that’s the way it goes. Hello Casey, good to read your reports! Where exactly is Comal Creek, the north side of Comal Park? and look at the area directly SE of boat ramp #3 and #4. This is the area we are catching these fish.